If you’ve torn it, flaunt it! Forget invisible techniques used to mend fabrics, they are way too dull and discreet! Today it’s all about parading your patches with Mardi Gras flamboyance and embracing fabric wear and tear as a blank canvas for your stitching artistry. 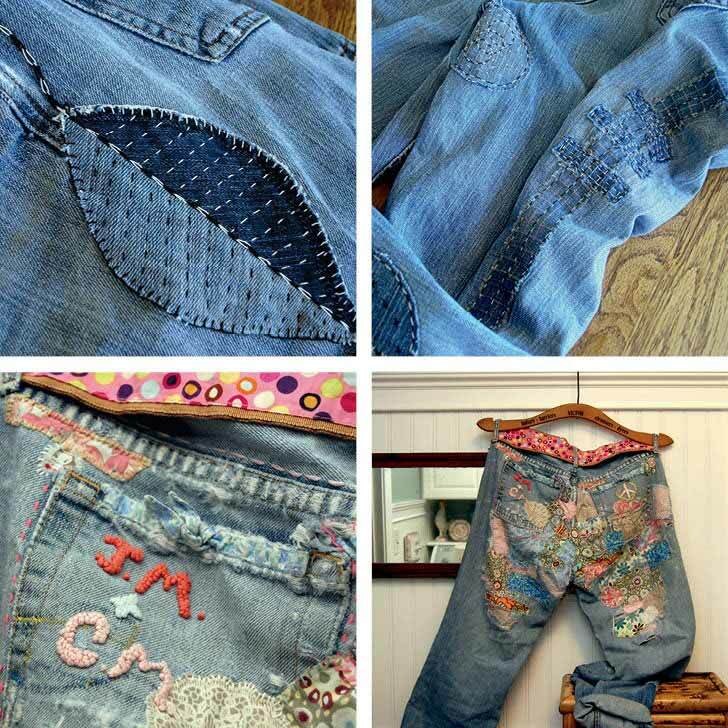 So let rip and make some darn magic with exuberant embroidery, proud patching, conspicuously colour clashes, wicked weaves and adorable appliqué with these ten creative ways to mend fabrics. Peggy used the style of boro, a Japanese term for mended and patched cloth, to extend the life of her favourite denim jeans. 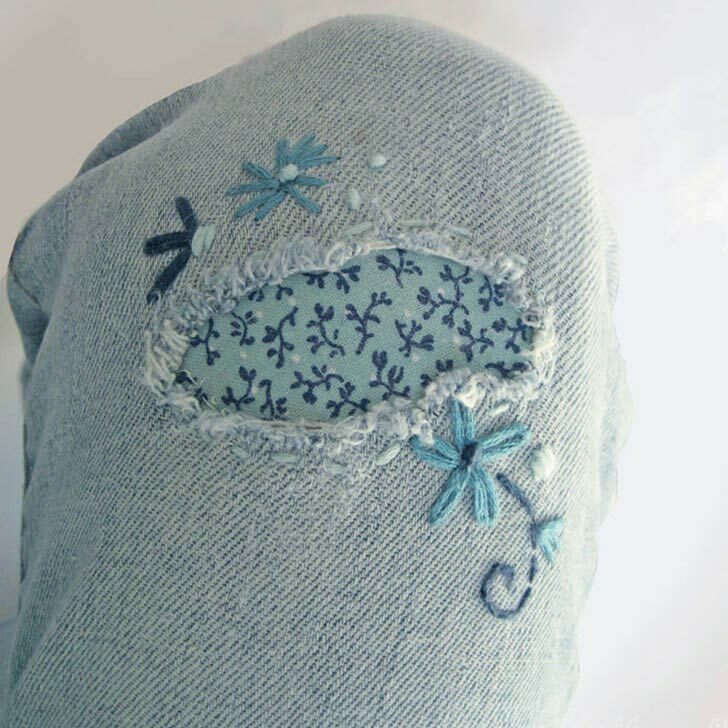 Using various denim scraps cut into different shapes, such as leaves and moon shapes, she hand stitched into place using simple embroidery stitches. Champagne Maker has really taken mends to the extreme, creating jeans that are wearable works of art. She used patches of Liberty of London fabrics, along with upcycled baby clothes, all embellished with embroidery stitches and plenty of French knots. As a self-taught textiles practitioner, Tom creates and repairs knitted items, many of which are done as commissions for his Visible Mending Program. This particular much-loved cardigan was sent to Tom for repair. He then used several different repair techniques, including knitted patches and darning to create such beautiful visible mends. While studying a moth on her window, Joanie was struck with inspiration for an embroidery design – she’d use a moth design to cover moth holes! 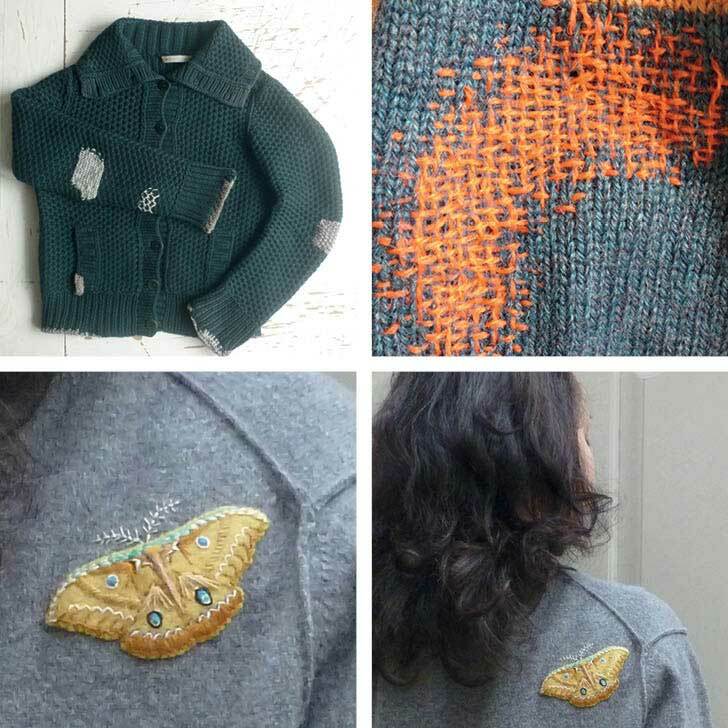 Using needle felting to create the piece, she then added embroidered detailing and trims around the moth before stitching the motif over the offending hole. 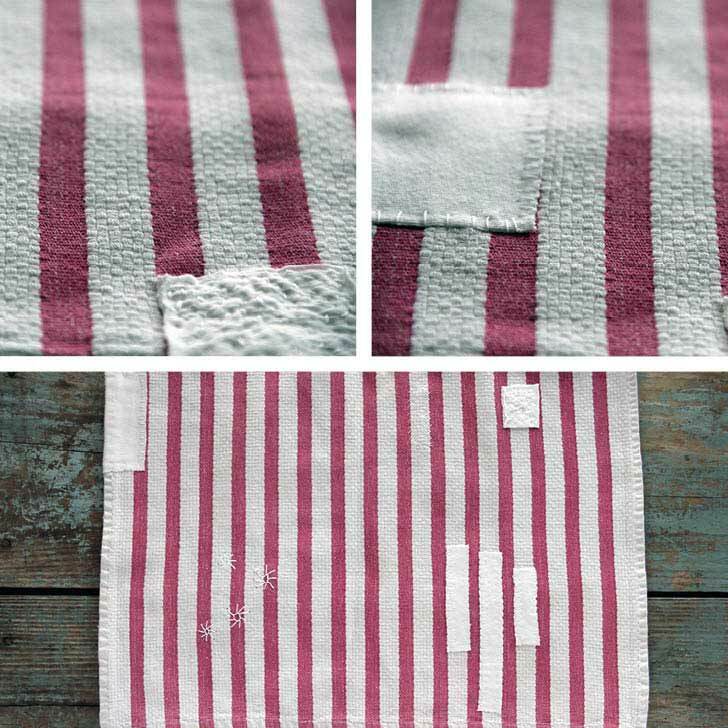 If you want to use this creative technique to mend fabrics, you can direct-message Joanie on Instagram and she’ll send you the pattern. Although Kristyne really dislikes mending, you wouldn’t pick it by this beautiful solution to holey leggings. It’s all about turning a chore into something creative to motivate Kristyne, so she took inspiration from the boring iron-on patches in store and make her own. Using pretty coordinating fabric, she fused the love heart patches with fusible web and machine appliquéd them for extra hold. 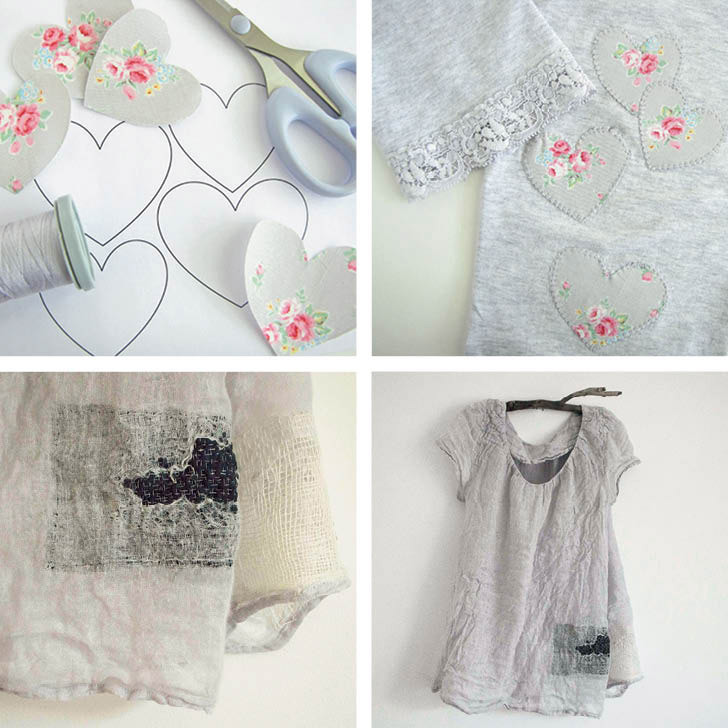 She added extra hearts to fill the empty spaces to create the sweetest leggings you’ll ever see. A favourite wardrobe item of Alessandra’s, this linen blouse had seen much wear, which required a little ingenuity and the Japanese technique of boro to bring it back to life. Alessandra put a patch behind the least-damaged part with only a few frail threads, then she used sashiko stitching to reinforce the patch. 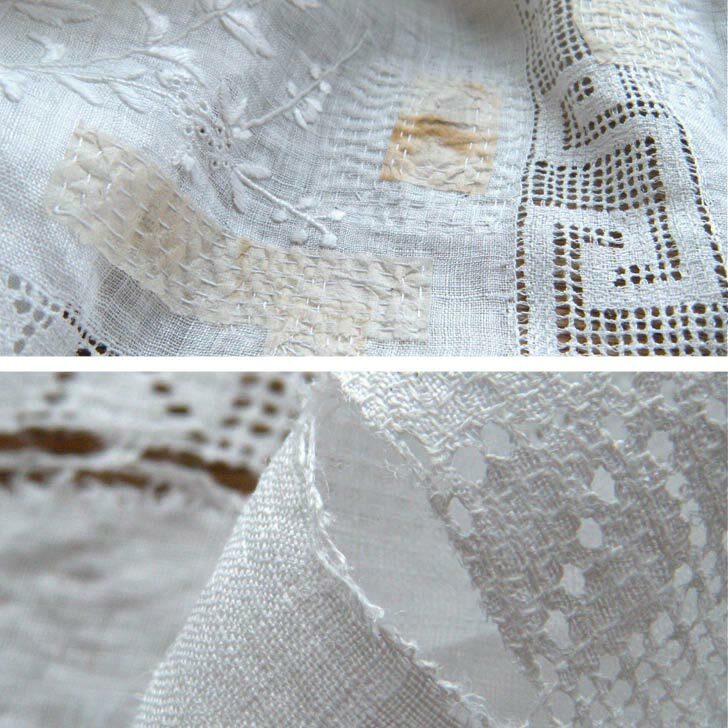 To the most severely damaged sections, Alessandra wove in silk threads. 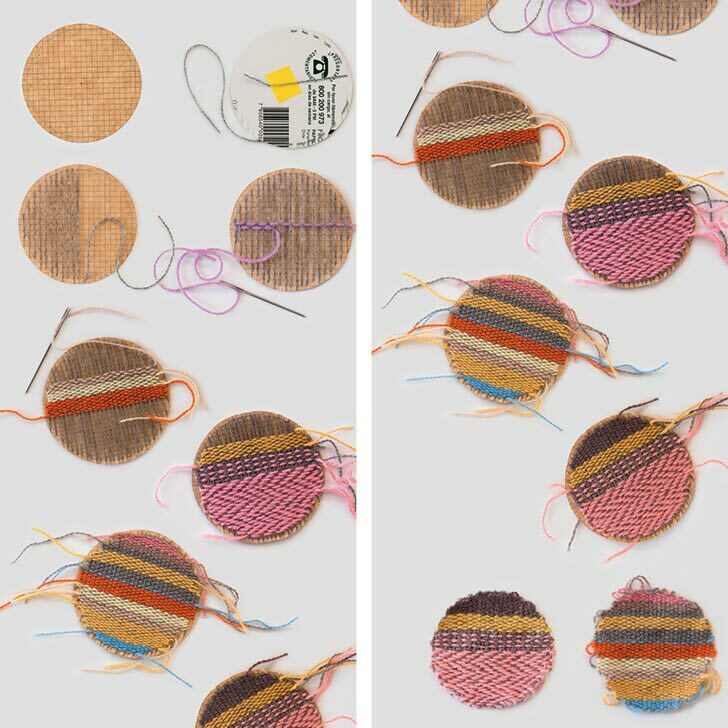 These patches are woven on a cardboard loom and are a creative and fun solution for mending holes in garments or just as embellishment for not-so-old ones. 1. Cut a circle of cardboard (cereal box cardboard works good) and draw a grid on it. The circle here is roughly 9cm of diameter with a grid of 4mm. Draw an inner circle 4mm smaller and cut slits in all vertical lines. Don’t go through the inner circle line.